Maintaining your new lawn to optimum condition. 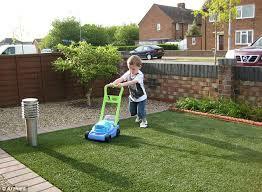 Synthetic turf needs to be maintained on a regular basis to look and perform at optimum level. There is a perception that synthetic turf lawns are maintenance free, but the reality is they require less maintenance than natural turf lawns. A crucial tip for maintaining your synthetic turf lawn is to do a little, often, rather than neglecting the lawn for a few months and being faced with a major maintenance program to restore your synthetic turf lawn to it’s optimum condition. It will take 2-3 months for your new synthetic lawn to settle and reach its optimum condition. During this period the infill materials penetrate the fibre pile and settle into the turf structure. Light grooming using a medium soft bristle brush on a regular basis will help the pile remain up right aid infill settlement and promote the life of the installation. The main reason for brushing is to stimulate the top fibres of your synthetic turf lawn, aiding them to remain vertical. We recommend light brushing at least once every month and actioned in a number of alternative directions. Some infill may appear on top of your synthetic turf lawn from time to time but this only requires light brushing to restore it to the turf structure. Debris should be removed from your synthetic turf lawn on a regular basis to prevent organic matter building up in the turf structure. 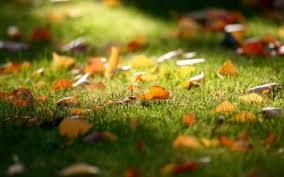 We recommend debris removal at least once very week and can be actioned with leaf rake and shovel, leaf collection device such as Aussie Clean Sweep or mechanical blower. Debris build- up may affect the drainage capabilities of your synthetic turf system and encourage weed growth. Should be removed manually from your synthetic turf lawn as soon as you find it and the area washed down with a warm soapy solution such as household washing up liquid. The faeces will not damage your synthetic turf lawn but will work its way into the synthetic turf structure. The longer it is left the harder it will be to clean out. If you folow the foregoing recommendation for debris removal you will dramatically reduce the chances of moss /algae and weeds froming on/in your synthtic turf lawn. We recommend moss/weed killing should take place once a year with water-based systematic weed killer. Weeds: Simazine: is a herbicide of the triazine class. The compound is used to control broad leaf weeds and annual grasses. Moss/Algae: Wet and Forget: it has a unique combination of biodegradable selective surfactants for moss removal, mould removal and gunge removal on any exterior surface. Please remember to remove all dead matter including roots and sweep debris out of the turf structure. Heavy old marks are removed using mineral spirits and a cloth; remembering to wash down the cleaned area with water to dilute the spirit residue. Clean, dry absorbents such a paper towel or commercial kitty littler for stains which can be blotted up. For superficial burns in your synthetic turf lawn, carefully clip the pile with scissors just below the blackened or melted tips. For large deep burns you may need to replace that section of synthetic turf lawn therefore we recommend that you contact your local installer for professional care. Only light vehicles under 1-ton, (fitted with wide, low-pressure tyres 8 to 10 psi) should be allowed on your synthetic turf lawn. Take Care you should avoid using/taking the following items onto your synthetic Turf Lawn. Cigarettes, hot works: although your synthetic turf lawn as a fire safety rating, open flames and hot items may melt the fibre pile. Chewing Gum: can be removed by freezing the gum and chipping it off the surface, but it is strongly recommended to avoid this situation. To neutralize animal waste, use a mixture of white distilled vinegar with equal amounts of water. Flush thoroughly with water after the application. Do not use Chlorine based bleaches or caustic detergents on your surface as this will cause dis-colouration. Most of the questions asked regarding surface usage are concerned with assemblies, shoes and concerts or musical events. Concerns with surface loading and crowd management may arise here. The first precaution to keep the long term static load below 1,450kg per square metre is by using plywood or other load spreaders. Usually 1200 x 2400 mm sheets of 20mm plywood will be satisfactory, as long as the load is not situated close than 150mm from the edge of the plywood. To avoid staining the surface a polyethylene sheet should be placed under the plywood.